On August 30, 1909, American paleontologist Charles Doolittle Walcott discovered the Burgess Shale Formation, located in the Canadian Rockies of British Columbia. With its Cambrian fossils the Burgess Shale is one of the world’s most celebrated fossil fields. Walcott excavated repeatedly to collect more than 65,000 specimens from what is now known as the Walcott Quarry, named after him. Today, most of us are aware of the fact that the human species has not been the first inhabitant of this planet earth. Most prominent example of previous species are the dinosaurs, as we have already covered the history of their exploration with articles on famous paleontologists such as Georges Cuvier or William Buckland. But, dinosaurs are only the tip of the iceberg. If you go back further in the ages of the earth, you will come to the Cambrian Period, about 500 million years from today. This is way before the dinosaurs, who lived in the Triassic-Jurassic period about 200 million years ago. The Cambrian Period marked a profound change in life on Earth; prior to the Cambrian, living organisms on the whole were small, unicellular and simple. Complex, multicellular organisms gradually became more common in the millions of years immediately preceding the Cambrian, but it was not until this period that mineralized – hence readily fossilized – organisms became common. This means that our understanding of the Cambrian biology surpasses that of some later periods. 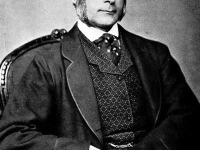 The period was established by Adam Sedgwick, one of the founders of modern geology, who named it after Cambria, the Latin name for Wales, where Britain’s Cambrian rocks are best exposed. The rapid diversification of lifeforms in the Cambrian, known as the Cambrian explosion, produced the first representatives of many modern phyla, representing the evolutionary stems of modern groups of species, such as the molluscs and arthropods. While diverse life forms prospered in the oceans, the land was comparatively empty – with nothing more complex than a microbial soil crust and a few molluscs that emerged to browse on the microbial biofilm. Most of the continents were probably dry and rocky due to a lack of vegetation. Shallow seas flanked the margins of several continents created during the breakup of the supercontinent Pannotia. The seas were relatively warm, and polar ice was absent for much of the period. Because of the relatively rapid appearance of so many species, i.e. of most major animal phyla, as demonstrated in the fossil record, one also speak of the Cambrian explosion. This was accompanied by major diversification of other organisms. Before about 580 million years ago, most organisms were simple, composed of individual cells occasionally organized into colonies. Over the following 70 or 80 million years, the rate of evolution accelerated by an order of magnitude and the diversity of life began to resemble that of today. The Cambrian explosion has generated extensive scientific debate. 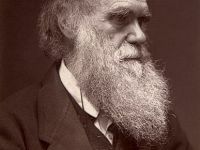 In 1859 even Charles Darwin discussed it as one of the main objections that could be made against his theory of evolution by natural selection. But lets take a look at Charles Walcott’s life and his achievements concerning paleontology and the Cambrian Period. Charles Walcott was born in New York Mills, New York, on March 31, 1850, as the youngest of four children. His father passed away, when he was only two years old. He was interested in nature from an early age, collecting minerals and bird eggs and, eventually, fossils. 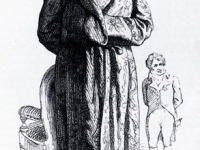 He attended various schools in the Utica area but left at the age of eighteen without completing high school, the end of his formal education. His interest in fossils solidified as he became a commercial fossil collector, which led to his acquaintance with geologist Louis Agassiz of Harvard, who encouraged him to work in the field of paleontology. 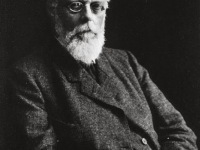 After working briefly as the assistant to the state palaeontologist, James Hall, he was recruited to the newly formed US Geological Survey as a geological assistant and rose to become its director in 1894. In 1907, Walcott became Secretary of the Smithsonian Institution, a position he held until his own death in 1927. In 1910, the year after his discovery of Cambrian fossils in the Burgess shale, Walcott returned to the area accompanied by his sons. Together they examined all the layers on the ridge above the point where the fossil-laden rock had been found, eventually finding the fossiliferous band. Between 1910 and 1924, Walcott returned repeatedly to collect more than 65,000 specimens from what is now known as the Walcott Quarry, named after him. At yopvisto you can learn more about paleontology in the TED talk of Dr. Paul Sereno on ‘What can Fossils Teach Us?‘.